Fellow veggie friends, I feel like you'll be able to relate to this one. Ever go into a restaurant with your pals, and you're looking at the menu and quickly locate the vegetarian section which has around 3 options, one pasta, a salad and a veggie burger which just about every restaurant sells. It's a little off-putting, and things are getting better. When I was a vegetarian 10 years ago; the options for me were along the lines of picking two sides (chips and onion rings and making do. But it's still annoying when your friends can tuck into these huge varieties of food and you're stuck with the basics. 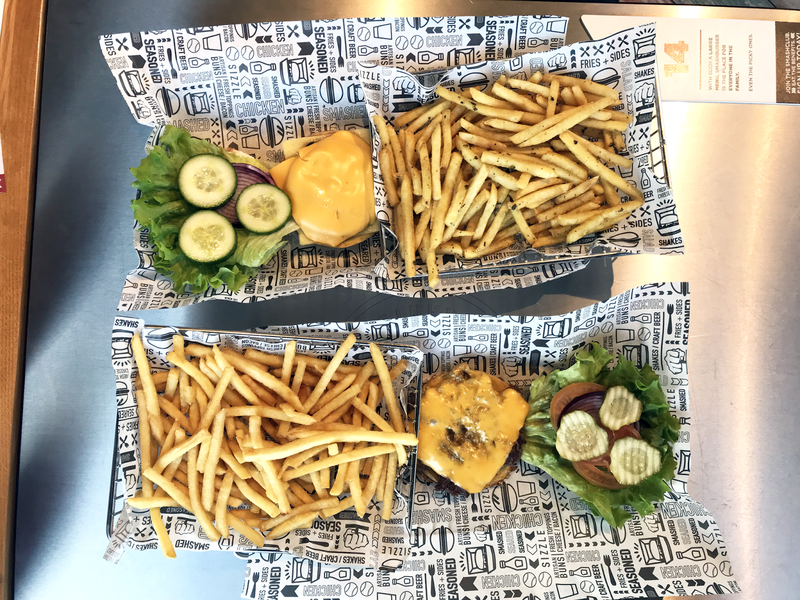 I recently came across Smashburger, an American themed burger place, where not only do they do a unique selection of veggie burgers, but also you can create your own. This stands for all of their burgers, you take a pencil and one of their tick box sheets and pick what you like. I went for a mushroom burger in a smash bun with American cheese AND cheddar cheese, you'd never guess I am a huge fan of cheese, would you? Topped with lettuce, onion and cucumber (why do more places not put cucumber on their burgers?) As well as garlic fries and they have one of those drink machines where you can get all of the flavoured cokes, raspberry vanilla coke is the one, just sayin. Will had the classic smash which was only £6.25, amazing for the quality of the burger right? The fries were extra, however as we've never visited Smashburger before, we decided to get a large fries each, big mistake. They're HUGE. Definitely would say a large to share or both in regular as they're both amaaaazing. 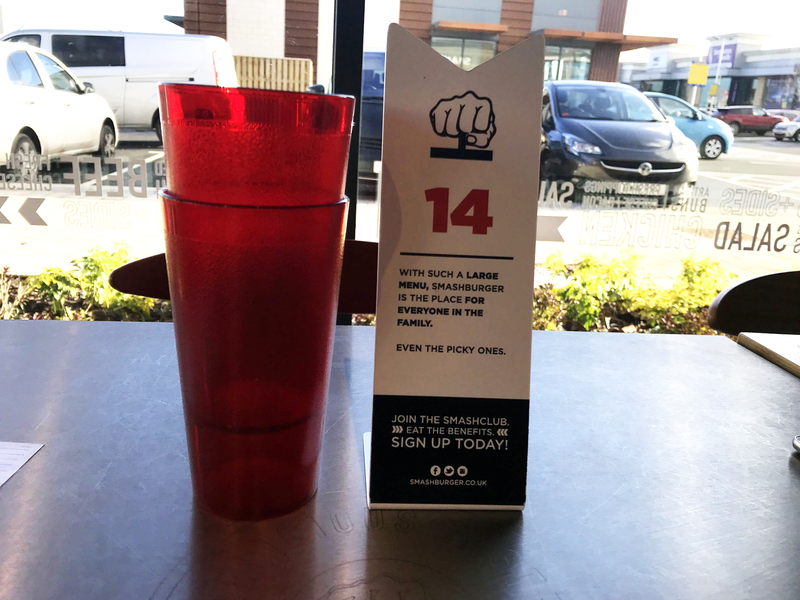 The service was so quick, I'd say from ordering to our table it was around 10 minutes, barely even had time to get a drink! 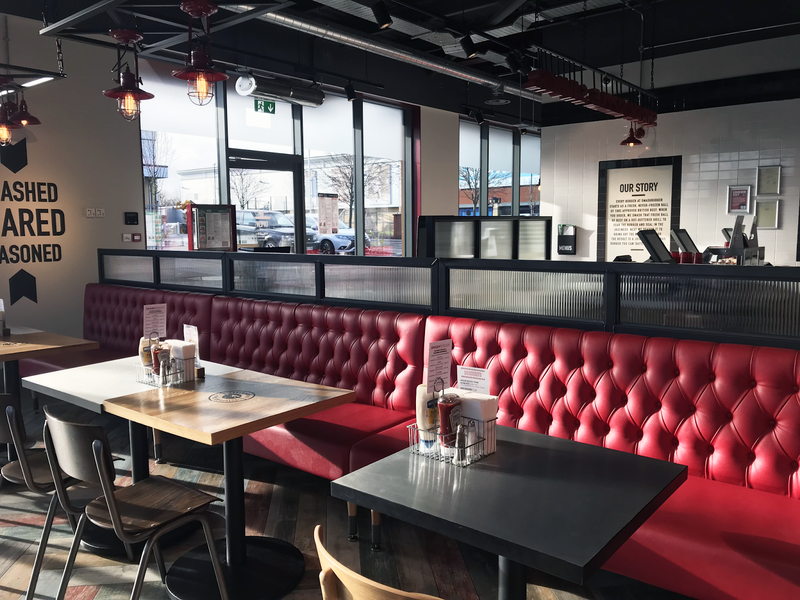 The restaurant itself is kitted out with American diner vibes. Big red sofas, quirky furniture and big servings of food. I have to say the lady who waited on us, was super lovely and accommodating. I can imagine on an evening, it has a great atmosphere to it. I love that even as a fussy eater, I felt like I wasn't annoying with my food choices. 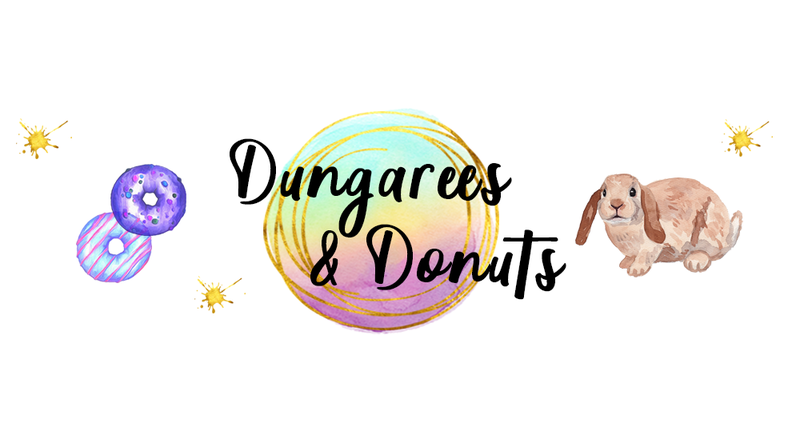 I am forever asking to take things off or change them, but with their fab ordering system there was no need to do anything like that; pass them your order sheet and they make it just how you like it. Overall, I'd rate Smashburger as having one of the best veggie burgers I've ever had, it was filling and presentation was lush. 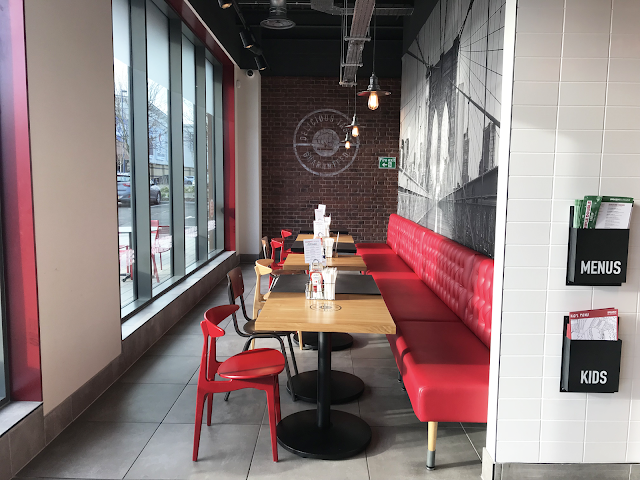 Have you ever visited a Smashburger? 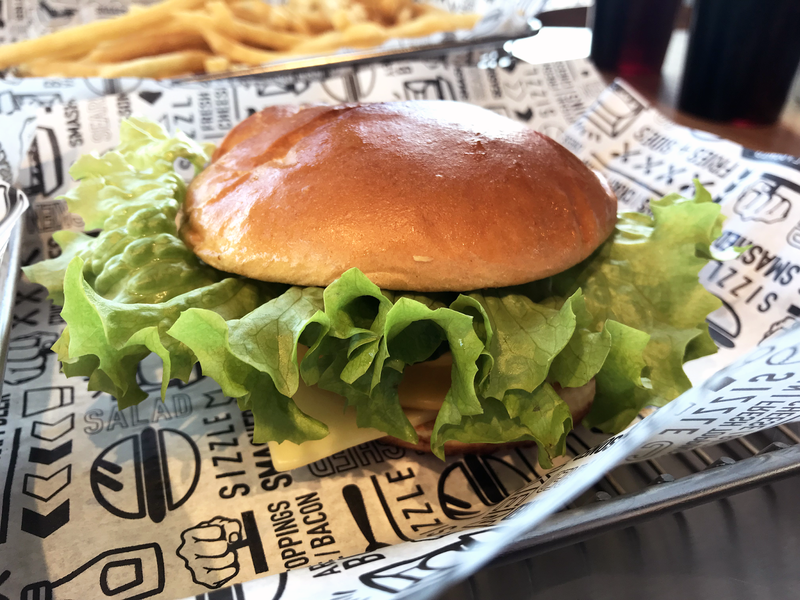 *Not in collaboration with Smashburger, however, their burgers are pretty damn good and I just had to tell you all about them. I do love burgers and definitely love to try veggie ones. The burger you went for sounds and looks delicious. I think its great that you have found one that you really enjoyed. I have to admit I've not heard of Smashburger before, but I would totally be up for heading there and trying one of their veggie burgers, it sounds like they have really made a good one. I've never heard of Smashburger before but anywhere that does a decent veggie burger is good with me! Ooh this is one burger place I haven’t been but it looks delicious. 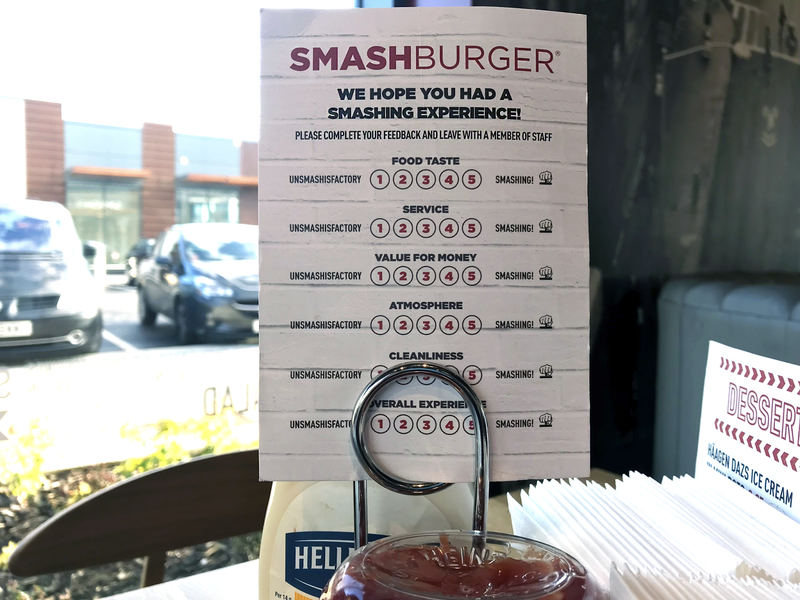 I've never heard of Smash Burger before. It sounds like a fab place to eat though! Off to see if they're a chain or just one amazing restaurant!! I have to admit, I've never tried a veggie burger before, but this doesn't look too bad.